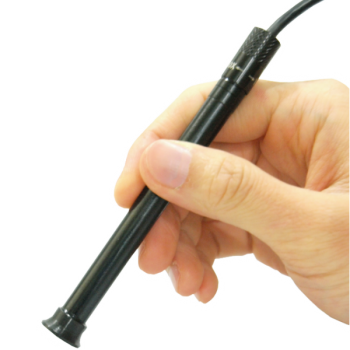 The Digitech-i USB Pen Microscope is designed with dual function - It works as an Inspection Camera to explore the places that you cannot reach to and as a Microscope for magnifying small objects . It comes with multi magnification levels ranging from 1x ~ 500x, adjustable LED lights and a Waterproof Camera making sure that you will see every detail you want to see. - 500x magnification, enough for checking even a small soldering / transistor in a PCB. - Capture high quality colour images and video by the touch of a button on the handle. - Plug and play, easy to install. No driver needed.